Cotton Designer Tote Bag., Size: 12"/15"
We bring forth our vast industrial experience and expertise in this business, instrumental in providing Cotton Tote Bag. 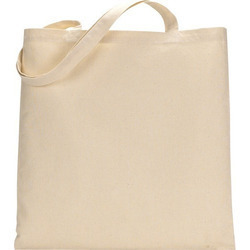 As per the needs and requirements of our clients, we are involved in providing Cotton Tote Bag. Made of High Quality Canvas Fabric. Dimensions - Length - 17 inches, Height - 15 inches 5 inches side & bottom gusset and 20 inches long handle. 10 Kg weight capacity with additional safety pocket inside. Can be used for complimentary gifting purposes. We have carved a niche amongst the most trusted names in this business, engaged in offering comprehensive range of Cotton Tote Bag. 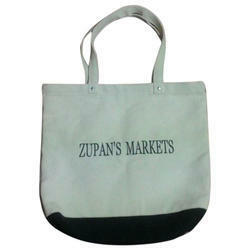 We are leading Manufacturer and Exporters of all kinds of cotton Reusable Cotton Tote Bag .